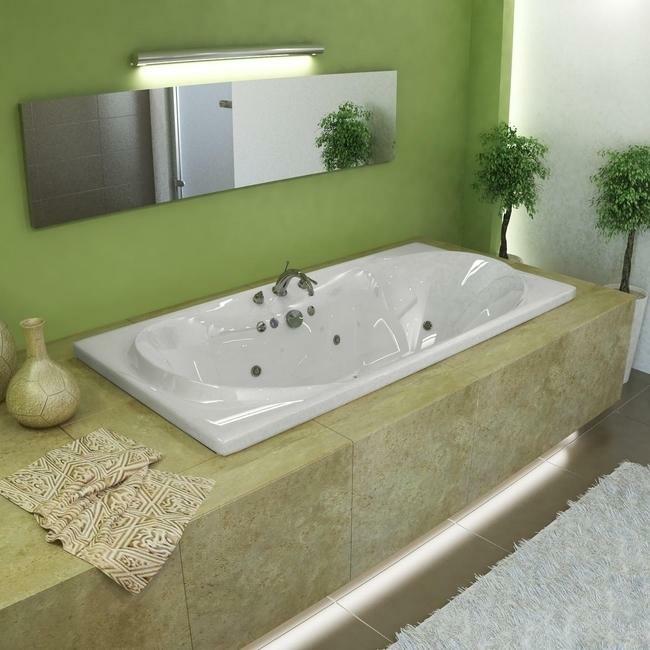 The Atlantis Whisper tub has an oval interior bathing area with sloping back rests and ample shoulder room. The Whisper also comes with a convenient center drain location. Also available as an air tub, whirlpool tub, or air/whirlpool combination for the ultimate spa bathtub experience. Call 800-720-1062 for more details.